Gomphidius produce very distinctive fruitbodies that are common in fall and winter wherever Douglas-fir trees are found in forest settings. 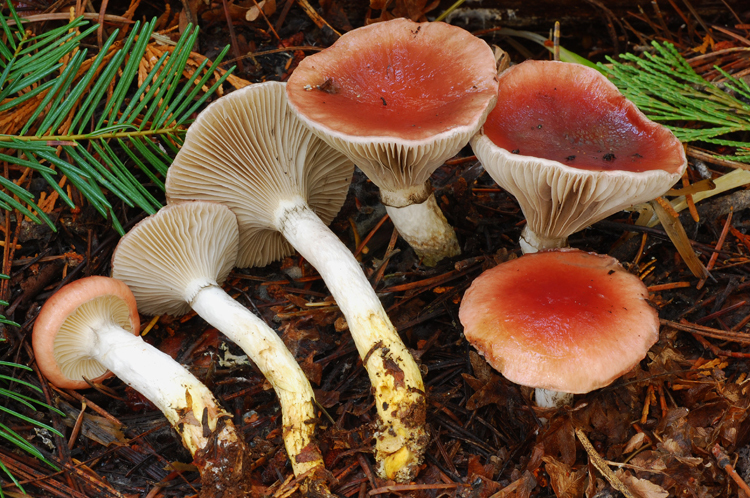 Members of the genus are easily recognized by their viscid caps, deeply decurrent, thick waxy gills, white flesh, bright yellow stipe bases, and glutinous partial veils (often obscure in age). Long thought to be mycorrhizal, it is now thought that Gomphidius are actually obligately parasitic on the mycelia of Suillus, and thus appear mycorrhizal. Fruitbodies of the two genera often appear at the same time and in the same places in the forest. Although all Gomphidius are edible, none are particularly highly regarded, and caution is warranted due to their tendency to bioaccumulate heavy metals. 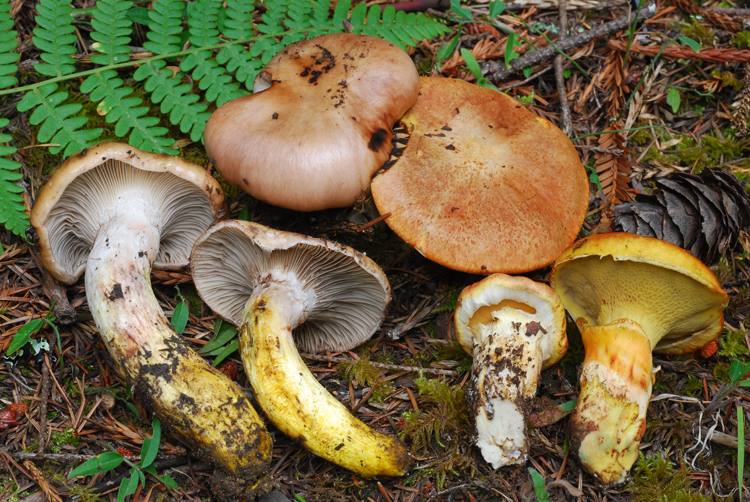 Relatively few Gomphidius are in our area, all of them in association with Suillus that grow on Douglas-fir roots. In pine forests, Gomphidius are replaced by Chroogomphus. Important identification characters are coloration of the various surfaces of host Suillus species, and spore size.